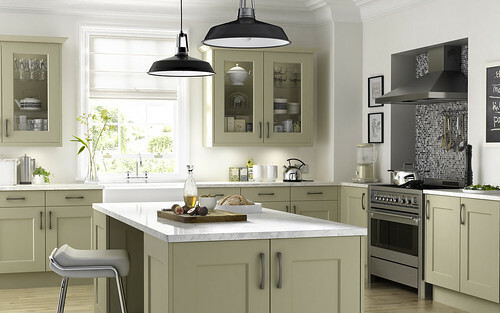 While most of us long for the types of kitchens featured in cooking shows and fancy home magazines, sometimes you don’t end up with that type of dream kitchen in your home. If you dread cooking thanks to the cramped kitchen space, we have a few tips for you so you can make the best out of a small space. Keep in mind though for large renovations to the space, you may want to contact a plumber or electrician to make sure you don’t do too much damage. 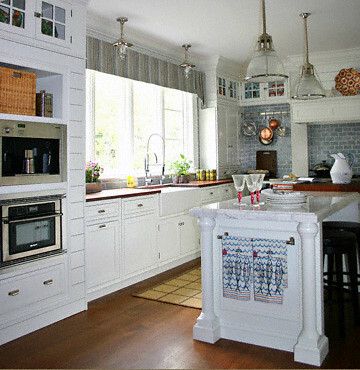 1) Paint the kitchen white. Small rooms look bigger with white paint because of the way it reflects light. From ceiling to floor to cabinets, paint your room white. If you desire a pop of color, consider adding that color in your appliances or stools that you set near the space. 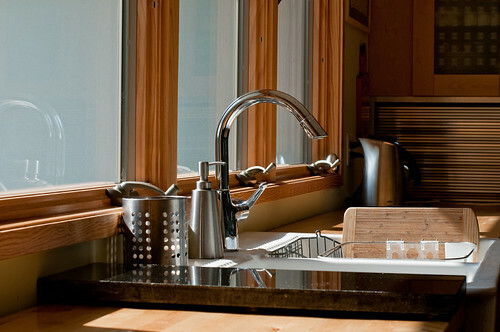 Lucky enough to get some natural light in your kitchen? Take advantage of that. Keep things open and use sheer curtains to bring in the natural light coming from outside. That is sure to open up the space and leave it less cramped. 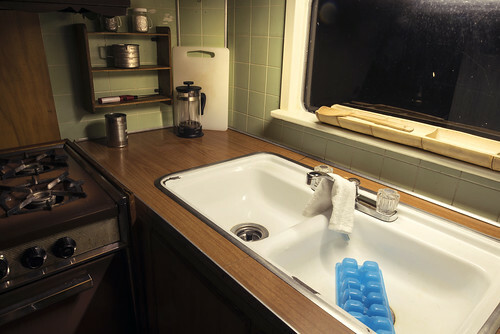 Clutter around a kitchen can make it seem like you have less space than you do. Put things away that you don’t use on a regular basis and keep things off the counters as much as you can. 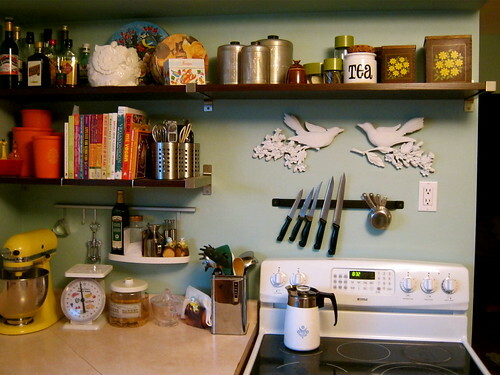 If you have extra wall space in your kitchen, add shelves. Of course if you have pets – particularly cats – this may pose as a problem, but installing shelves where there is open wall space can help give you more storage to put things usually left out on the counter. 5) Get creative with storage. 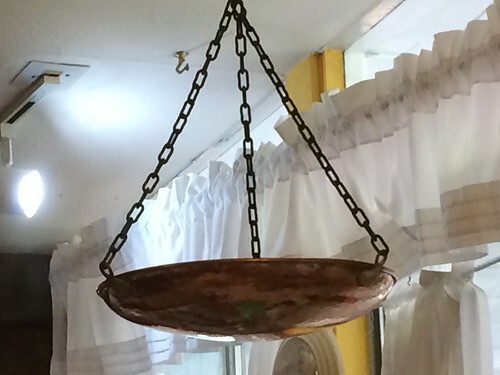 If you have minimal cabinet space, consider hanging baskets or attach little wire baskets to your cabinets. Also, a rolling cart that you can possibly push underneath other furniture, such as a chair or table, can work towards giving you more space to work with.